HiMama is a highly interactive and user-friendly app designed to assist the educators in early childhood learning and development programs. It helps the educational staff to minimize the conventional methods of recording children activities, especially the use of paper and provides an efficient and effective alternative for documentation, tracking, and overall management of children activities. With HiMama, educators can instantly record every activity including routine activities and any special achievements of the child and share it with their parents. The app is very helpful in monitoring the learning activities for children and improving them for the better outcomes. 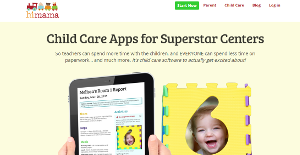 Designed specifically for the early childhood development environment, the app contains all the features and tools that the educators need to create the best possible environment in the classrooms. HiMama app has been developed after extensive consultation with the early childhood development experts including teachers, institutional directors, and supervisors. As a result, the app never disappoints the users in delivering a perfect experience inside as well as outside the classroom. With an extensive list of features on board, the app enables the teachers to arrange and manage highly interactive and fun filled learning activities for children. Teachers can keep records of student behavior, strengths and weaknesses, habits, and other routine activities including meals and naps. The documentation can be done not only in text but also in the form of images and videos. Moreover, the teachers can instantly connect with the parents through the app and share all the necessary information. The efficient communication system of the app not only allows instant messaging between the teachers and parents but also allows the sharing of files including assessment reports, daily activity reports, attendance reports, etc. Generating reports is a walk in the park for the supervisors and teachers. The automatic reporting features allow the supervisors to generate accurate reports and share it with the parents. Moreover, the automated reporting feature saves the school management for tedious paperwork and also saves them a lot of time to focus on learning activities. The app support is always available to help the school management in the flawless operation of the app. Every company has its own characteristics, and can call for a particular type of Learning Management System - LMS solution that will be fit for their business size, type of clients and employees and even specific industry they cater to. We advise you don't count on locating an ideal software that will work for each company regardless of their background is. It may be a good idea to read a few HiMama reviews first and even then you should pay attention to what the software is intended to do for your company and your staff. Do you require an easy and intuitive app with only basic functions? Will you actually make use of the advanced tools needed by pros and big enterprises? Are there any particular features that are especially useful for the industry you work in? If you ask yourself these questions it will be much easier to find a solid solution that will fit your budget. How Much Does HiMama Cost? We realize that when you make a decision to buy Learning Management System - LMS it’s important not only to see how experts evaluate it in their reviews, but also to find out if the real people and companies that buy it are actually satisfied with the product. That’s why we’ve created our behavior-based Customer Satisfaction Algorithm™ that gathers customer reviews, comments and HiMama reviews across a wide range of social media sites. The data is then presented in an easy to digest form showing how many people had positive and negative experience with HiMama. With that information at hand you should be equipped to make an informed buying decision that you won’t regret. What are HiMama pricing details? What integrations are available for HiMama?